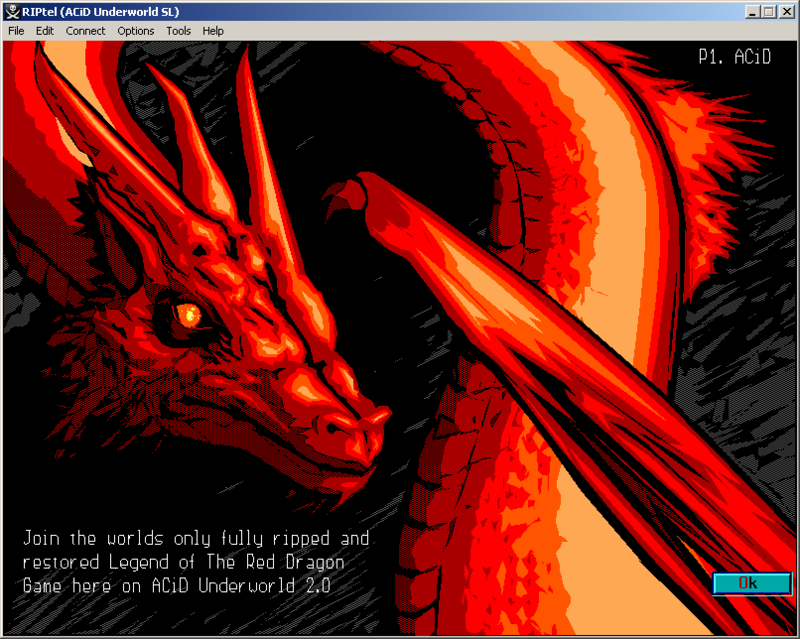 ACiD Underworld 2.0 On Searchlight is the RIPScrip companion BBS to the main ANSi version ACiD Underworld on port 31337. It is the ACiD RIPScrip Telnet Headquarters running on registered Searchlight 5.1 BBS Software created in 1997. We are running it on Windows 7 Pro 32 bit with Netfoss for the fossil driver and Net2BBS as the telnet server. Join our fully restored Legend of The Red Dragon game in glorious RIPScrip. The link to RIPtel Visual Telnet Client is below The Red Dragon.